Arrow Sewing Cabinets: Craft Month Madness! We're smack dab in the middle of National Craft Month, and we hope all of you have been crafting and sewing up a storm! 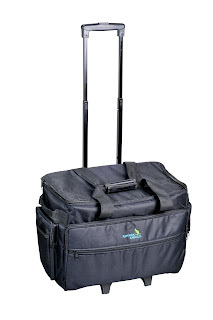 We're ready to roll out a few more fun contests for you, so get those scissors sharpened and those machines threaded! It's time to welcome in spring! 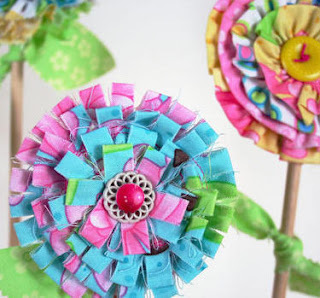 Make a pretty posy pin out of fabric to spark up your spring wardrobe! Kay Whitt's Summer Flower Tutorial - Kay is a genius, and we love looking at her blog! She is so great at combining different fabrics. We love her gorgeous dresses and skirts too! Spring Tabletop Flowers - from our friends at Fiskars! We think these would look just as adorable on your lapel. Kanzashi Flowers - if you like a more structured look, these folded flowers are for you! Get those flowers blooming! The deadline for this challenge is Friday, March 22nd at 5 pm Eastern time. 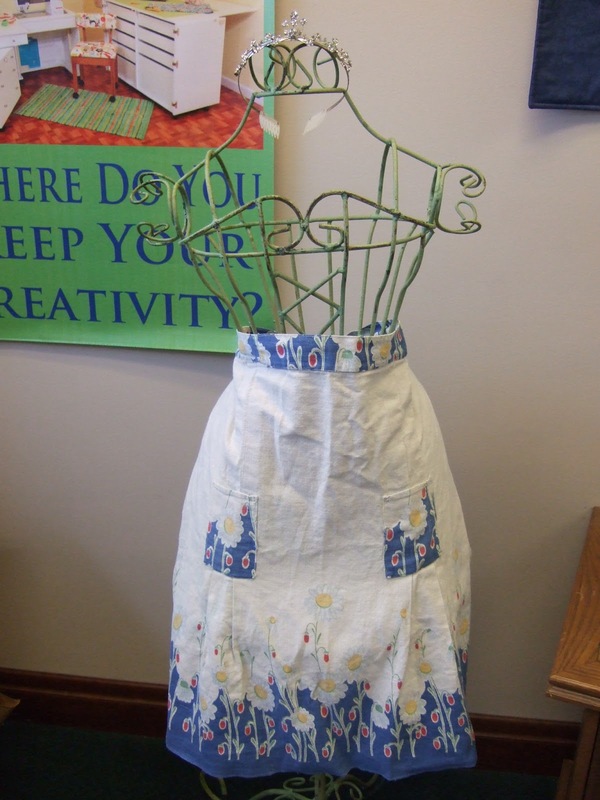 We love the look of vintage aprons, but sometimes they're hard to find at the local flea market. My Girlfriend's Breakfast Club Apron - Just think of the fabric possibilities for this one! Vintage Tie Apron - get the kids involved and make them an apron too! 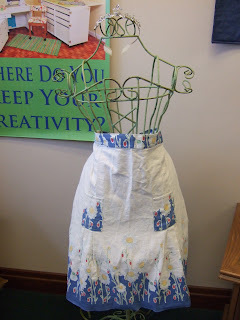 Vintage Pillowcase Apron - this is gorgeous, and a great way to repurpose vintage linens! Get yourself into a retro/vintage state of mind! The deadline for this challenge is Friday, March 29th at 5 pm Eastern time. 1. Pick out some cute fabric (it can be recycled from something too), and create your project. Remember, they must be new projects made specifically for these challenges. 2. Take a picture of your finished project and email the photo, along with your full name and mailing address, to rebecca@arrowcabinets.com by the deadline specified for each challenge. 4. The projects will be voted on by Arrow staff, and the winners will be announced here on the blog on. Each winner will receive one of our awesome rolling totes, and another little surprise! What a great challenge. My grandmother made the vintage tie aprons for my nieces many moons ago out of gingham. They were so cute. I still have one that was gifted to me when my girls were little. This brings back memories for sure. Can't wait to start! Just thought of an apron today I want to make and then saw this!